NEW YORK, NY (January 9, 2017) – Orbit has acquired three new novels by Hugo Award-winning author N.K. Jemisin. All three will be published by Orbit in both the United States and the United Kingdom, and as audio editions by Hachette Audio. 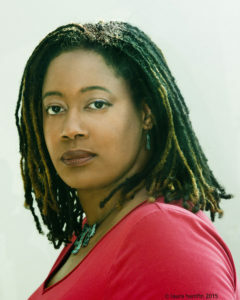 Jemisin is the author of THE FIFTH SEASON (US | UK | AUS), THE HUNDRED THOUSAND KINGDOMS (US | UK | AUS), THE KILLING MOON (US | UK | AUS) and other widely acclaimed fantasy novels. Her Hugo Award win for The Fifth Season was historic, making her the first black writer to take home that award for Best Novel. The first newly-acquired book, currently untitled, will be Jemisin’s first set in our world, and is a contemporary fantasy dealing with themes of race and power in New York City. It has a projected publication date of April 2019. N. K. Jemisin said, “I’ve been very happy with Orbit and am thrilled that they’re giving me more chances to explore my creative visions. This is an idea that I’ve been thinking about for a long time and I’m glad to finally be able to put it to the page. The Fifth Season was also nominated for the Nebula and World Fantasy Awards for Best Novel. It was a New York Times Notable Book of 2015 and has been called “intricate and extraordinary” (New York Times), “astounding” (NPR Books), “amazing” (Bustle), and “unflinching” (Kirkus, starred review). THE OBELISK GATE (US | UK | AUS), the sequel to The Fifth Season, was published by Orbit in August 2016 and the third book in the trilogy, THE STONE SKY (US | UK | AUS) will be published in Summer 2017. Orbit is the science fiction and fantasy imprint of Hachette Book Group.